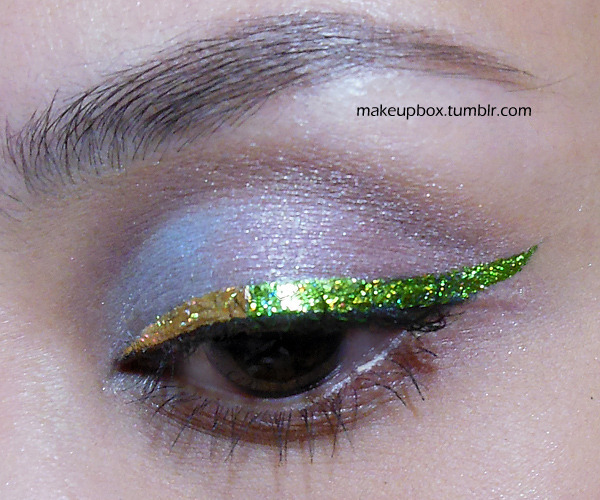 When you need a whole party on your eyelids, nothing but the most intense glitter liner will do. And what can be more intense of transfer foil? 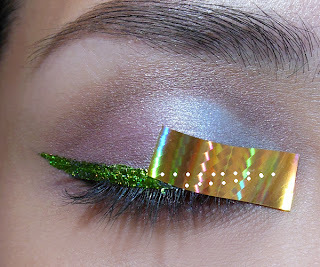 When choosing the foil, I would pick glitter patterns because larger patterns aren't going to show up nicely on a thin strip along your lash line. I picked a bright green holographic glitter foil from Dollarnailart.com, called Lime Glitter. 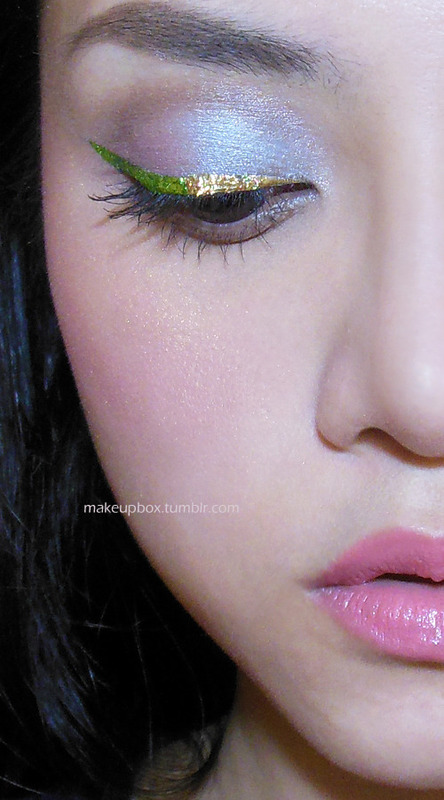 For the inner half of the lids, I used a bright yellow holographic called Aztec Gold. 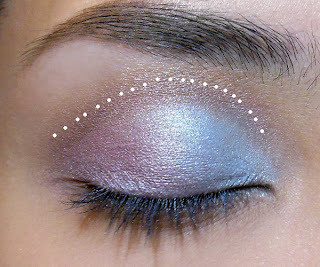 Step 1: I used 2 pearlescent pastel shadows from The Body Shop that have been discontinued. You should be able to easily find similar colors from other palettes and brands. Step 2: For some shape and definition, I applied a smoky pearl brown shadow (sorry, also a discontinued Body Shop shadow; I need to use them up!) along the socket line, blending so there are no harsh lines. There is nothing very special about a color like this, so it's again very easy to substitute with any similar brown shade. 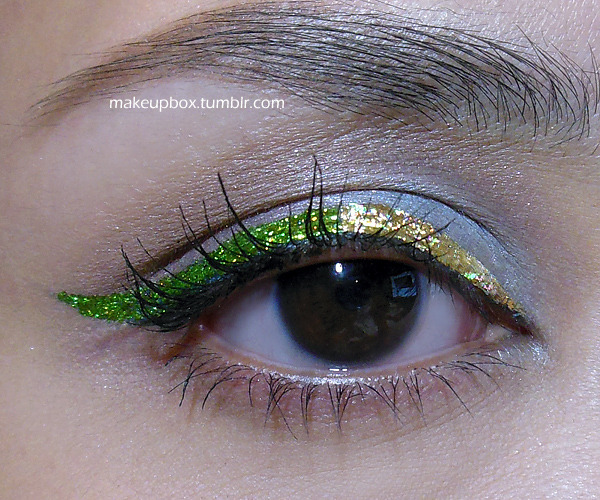 Step 3: I applied a dark teal green along the upper lash line. This will serve as a "marker" for you to apply foil glue on later, and you don't need to use the same color as me, although this is a great look on its own! If you're going to apply the foil, make sure you use a liner that is quite long-lasting so it won't run or smudge when you apply glue over it. 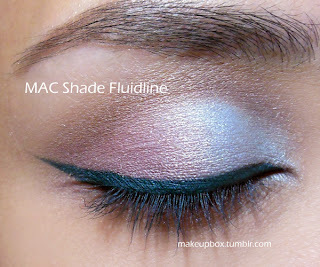 Step 4: Apply a very thin layer of glue along the liner you applied. 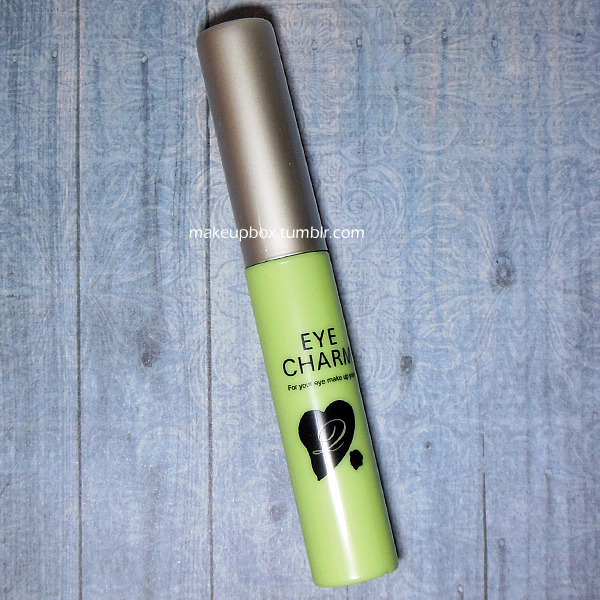 Very important not to over-apply because you want to avoid a gloopy line that takes forever to dry. Step 5: Let the glue dry for a few minutes first, then cut a few thin strips of foil (don't try to get everything covered with one single long strip) and start transferring the print onto your lid in sections, from the outside corner in. 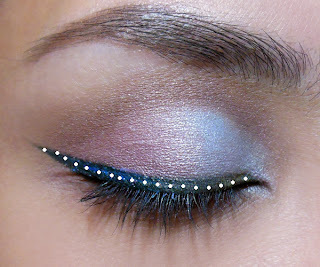 I used the back of my tweezers to run along the lash line and make sure the foil is pressed firmly into the glue. Then in a brisk, firm move, pull the foil off. 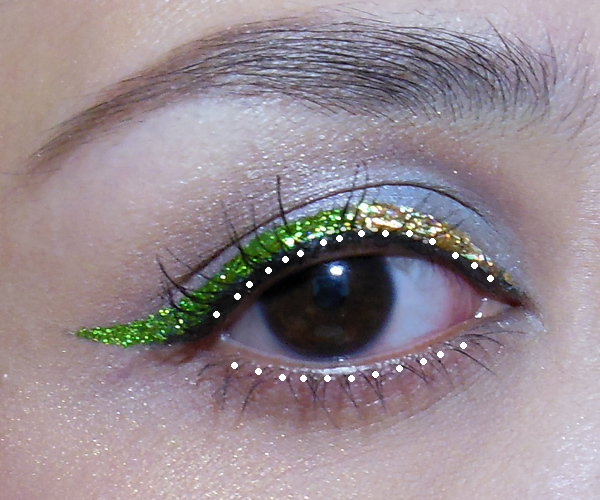 Step 6: Along the inner half, you can opt to use the same lime green glitter for a single shade of liner, or switch to a slightly lighter color like I did for a duo-tone line. 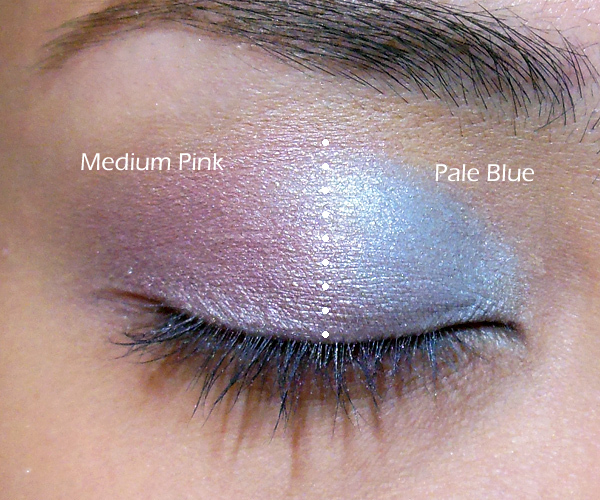 Make sure there are no gaps between the 2 shades. Extra Tip: If there are any gaps or patches where the foil didn't transfer perfectly, patch it up by applying more glue over and beyond the bare spot. Then let dry properly and go over with more foil. Step 7: Finish with black mascara on top and bottom lashes to add a little definition and strength back to your lash line!